Knorr’s Chef Dianne dela Cruz and YUMMY’s Chef Katherine Jao, a friend of mine, wowed the crowd as they whipped up five absolutely delectable dishes that were definite must-try recipes that are as easy as they are delicious. Among the dishes prepared were Creamy Dory Fillet with Sofrito, Moringga – Squash Cream Soup and Mexican Tortilla Soup. Everyone got a taste of their deliciously made delights. Participants also had the opportunity to win the special raffle prizes worth P2,500 courtesy of Knorr and YUMMY afterwards. 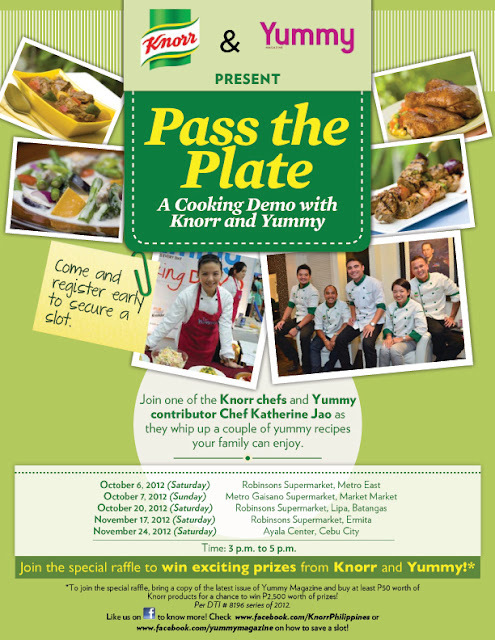 Pass The Plate was made possible thanks to Knorr, YUMMY magazine and the venue, Robinsons Supermarket. 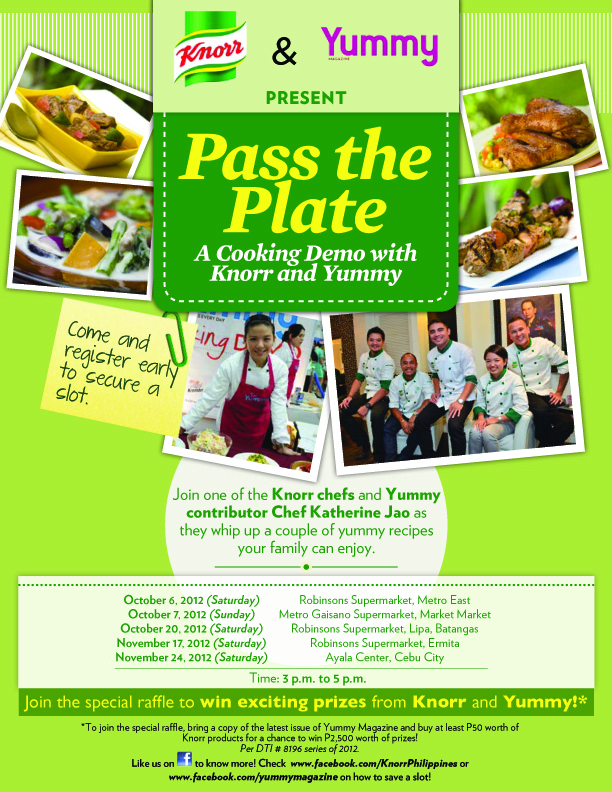 Catch the other cooking demos happening at Robinsons Supermarket, Lipa, Batangas, Robinsons Ermita and in Ayala Center, Cebu.